In April 2013, senior figures across Herefordshire’s public, private and civil sectors received a challenge in the form of a research report which pointed to huge untapped economic potential in the county – worth hundreds of millions of pounds a year – and an invitation to attend the public launch when the evidence and how best to put it to use for the benefit of the county would be considered. Built on detailed research spanning 160 pages, the Herefordshire Economic Evaluation places the county’s present and future economy under the spotlight in terms of production and consumption of basic essentials: energy, food, and energy-efficient housing. For each of these three sectors, the report explores where Herefordshire is presently in terms of sustainable livelihoods, and where it could be in a few years. How much, for example, do the county’s residents presently spend on these essentials? What is the size and scope of the economic activities involved? What is the value to the local economy of present expenditure, and what would be the value if supply chains for each sector were more localised? Answering these questions by means of numbers and pound-signs, the work outlines in standard business terms the scale of economic opportunity for more of the energy, food and retrofit goods and services to be produced locally and supplied through locally-owned enterprises, rather than imported from elsewhere and sold through national or international chains. It sets out to establish not just new information but also common ground with the business community, with mainstream economic strategists and decision-makers. 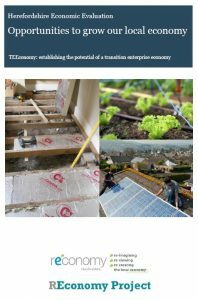 And it goes further, in suggesting we could grow a ‘Transition Enterprise Economy’ (TEEconomy) in the county – an economy founded on low-carbon and high-wellbeing. Commissioned by the Transition Network’s REconomy Project in 2011 with funding from the Tudor Trust, throughout 2012 I wasknocking on the doors of local, regional and national agenciesto find out what was already known or not known, talking to a wide range of individuals and organisations. But in doing so I was by no means starting from cold. In early 2011, I and two others in Transition Hereford grasped the opportunity to run one of Transition Network’s 10 REconomy pilot initiatives. We did not have a ‘business and livelihoods’ group behind us but the local Transition group was well-connected at strategic-policy level, with close links to the Bulmer Foundation (an influential sustainability enterprise based locally) and to the county council (Herefordshire is a unitary authority). We already had traction at a high level with those overseeing environment and planning – but not with those driving economic or business policy. Subtitled ‘reimagining, reviewing, recreating the local economy’, the Herefordshire REconomy project became a working group of the Herefordshire in Transition Alliance (HiTAlliance) – a county-wide grouping of Transition organisations. TEEconomy was first outlined at the REconomy launch in June 2011, as research which would underpin REconomy’s work with economic information about the ‘environment-economy interface’, and provide a means toward constructive dialogue between environmentalists, new enterprises, the business community and those responsible for economic policy and strategy. Quite differently from parallel work in Totnes and Brixton, HerefordshireTransition was already operating on a county-wide basis through HiTAlliance, with links to the county council and other county organisations. It would have been difficult to do this local-specific work on any other basis, as so much of the available data uses the county boundary, but whether county-level research would prove useful at market-town level was a question throughout, to which we return later. REconomy and TEEconomy therefore shared deep roots in local structures.The intention and expectation was to develop from these roots a stakeholder group to support the work, so that by the end of the research there would be a well-informed, committed group prepared to take it forward. Everyone to whom I spoke emphasised how valuable the work would be, as the information we sought to produce did not already exist. However, no stakeholder group was forthcoming despite several attempts to convene one – principally, it appeared, due to the degree of other activity during this time. The ‘natural base’ for a stakeholder group would probably have been the Bulmer Foundation as it was already engaged on work in food and energy and hosted HiTAlliance meetings. However, during 2012 the foundation and many key players were fully-committed delivering work for DECC’s last-minute LEAF projects and on pursuing a Big Lottery bid. Simultaneously, work began on the county’s large ESG regeneration scheme in central Hereford, and on its newly-won Enterprise Zone on the city’s outskirts. 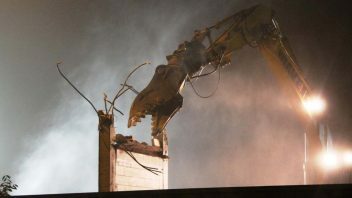 And alongside these, much heat was continually generated over development of the county’s Local Development Framework Core Strategy, while cuts in the council’s staffing and services started to bite. Working at county level was therefore difficult as so many key players already felt over-committed and unable to support creation of another group. REconomy and HiTAlliance were likewise at full stretch. We therefore decided to develop the reports first, keep interested parties informed through progress reports at meetings and public events, and attempt to assemble a group at conclusion of the research stage. The early TEEconomy work was successfully showcased in July 2012 as part of Fiona Ward’s national roadshow, briefing some forty ‘movers and shakers’ from across the Herefordshire community including for example the Cabinet member for environment and planning, senior officers responsible for economic development, chairs of the Business Board and the Chamber of Commerce, alongside sustainability organisations, environmental activists and representatives from the local Green party. Encouragingly, there was meaningful animated discussion and the event was regarded as a ‘first’ in bringing together such a range. So, when reports and a launch invitation were issued in April the existence of the TEEconomy and the Economic Evaluation project was well-known to those who received them. Headlined as “Opportunities to Grow Our Local Economy” – summarised as £156m annually in food, £130m annually in renewable energy and £150m in housing retrofit – the invitation posed the challenge ‘how can we turn these into sustainable economic realities for Herefordshire’? With project funding at an end, the question was not just how but who: which individuals or organisations would come forward, willing to engage with the findings and work out next steps? The launch event was held within the ESG regeneration zone, right across the road from the ‘Old Cattle Market’ construction site, soon due to house a Waitrose, a Debenham’s, a multiplex. As we spoke, cranes busily constructed edifices likely to function as economic holes, draining the local economy of resources. Symbolically, installation of a new sewage main impeded access to our venue! 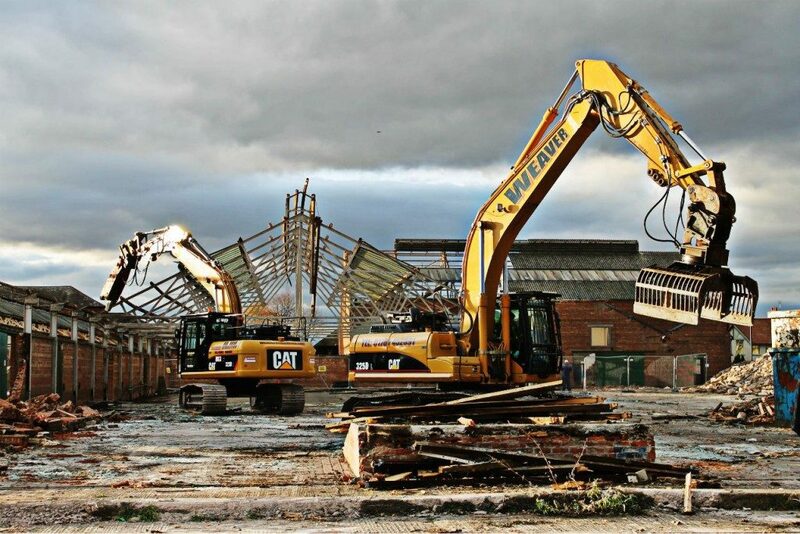 Hereford is already classed as a ‘clone town’ by nef, and this development looks set to add further damage. There could hardly have been more contrast between the ‘leaking local economy’ represented by this backdrop and the direction to which the Economic Evaluation points: the opportunities and the imperative need to grow local enterprise, production and supply chains, interwoven with recognition of how ‘local multiplier’ effects can create a strong, interconnected, sustainable local economy. The county’s Cabinet member for Environment Housing and Planning provided an introduction, steering a course that lent support to the notion of strengthening the local economy, while seeking approval for the county’s draft Core Strategy. Fiona Ward presented an overview of the Economic Evaluation work completed in Totnes and this was followed by my summary of the Herefordshire findings in each of the three focus areas, allowing questions on each. All had received electronic copies of all the reports and printed copies were available at the event. Everyone then worked in small groups to decide how useful the findings were, and how they might be applied, before a concluding plenary session all within two hours. There was a high degree of focus and animation amongst all, with meaningful engaged feedback to the plenary. The work was very well-received and widely acclaimed by those present as undoubtedly worthwhile and useful, ‘a great starting point’ for further projects and meriting wider dissemination. There was clear confidence that this work could successfully be deployed at local level, for example to support neighbourhood planning and to oppose supermarket applications. Some indignation was expressed as to why the council and private-sector organisations were not better represented. Although two council officers attended and an agency representing private sector enterprise, most were from environmental sustainability organisations of one type or another, local and regional, or from community groups. Senior figures from the Business Board and the council’s economic development – who had attended the previous July – were absent, as were figures from large organisations. Possibly, gearing the event around ‘taking the work forward’ – with the clear implication of engagement and commitment – had been off-putting for some, or perhaps they did not yet perceive how the results of this work could help support their own agendas. Numerous worthwhile points were made about the need to get the findings and implications recognised and embedded in other processes such as pilot projects, neighbourhood planning, local investment, the core strategy, the Local Nature Partnership and the Local Enterprise Partnership. Details of the event were recorded and are available for further analysis. Towards the end of the plenary the key question was posed : was anyone willing to take on responsibility for co-ordinating a ‘next step’? Reassuringly, no persuasion was necessary and a member of the local REconomy group took this on, with possible backup offered from a regional agency. Positive feedback on the work and on the event continues to be received, with requests to cite the reports. Encouragingly, there is take-up for the work locally amongst individuals committed to making good use of the findings in their activities, and some organisations are poised to play their part too. However the follow-on co-ordination agreed at the meeting has yet to take shape and a stakeholder or working group could take time to coalesce. There is presently no further project funding available to support this. The Economic Evaluation work is highly experimental and has been pitched at three different scales in three different locations so as to discover the most appropriate level – county level (Herefordshire), rural market town (Totnes, Devon) and urban city (Brixton, London). Given the challenges experienced in assembling a stakeholder group in Herefordshire, it may be that county level is in some respects not the best level at which to conduct an Economic Evaluation. However that in turn poses questions of data availability, data quality, and of how what is available can be extrapolated. (Read more on the difference in approach from county level compared to market town level here). We are pleased that the research findings reveal such clear opportunities for our county. While the lack of stakeholder involvement has been a challenge, the work has nevertheless planted seeds in a number of ways and we await with interest to see where they might sprout. Meanwhile, the findings are in the public domain and available for widespread dissemination. With so much economically-driven activity in Herefordshire and with such positive reception at the launch, there is every reason to believe that recognition of the work’s value and purpose will take root locally as a well-grounded alternative to mainstream strategies – strategies which are increasingly under question as they struggle to deliver lasting benefits to the local community. Beyond this, we hope to hear that the Herefordshire Economic Evaluation has also provided useful path-finding to communities and researchers elsewhere, as they seek to engage with mainstream economic strategies in their localities, and to forge common ground between policy-makers, business and those working for a sustainable future. 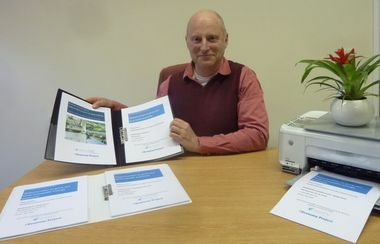 Download the Herefordshire Economic Evaluation (TEEconomy) reports or listen to an interview with Nick over on the TN website. By Nick Sherwood, July 2013, for the REconomy Project.